The cookbook that every student going off to college needs! Simple and delicious, easy-to-follow, few ingredient, cost- and time-efficient recipes for college students with no time, no money, and limited knowledge of how to cook for themselves. Think outside of the (mac & cheese) box! Eating on a budget and with no time to cook doesn’t mean one can’t eat well. 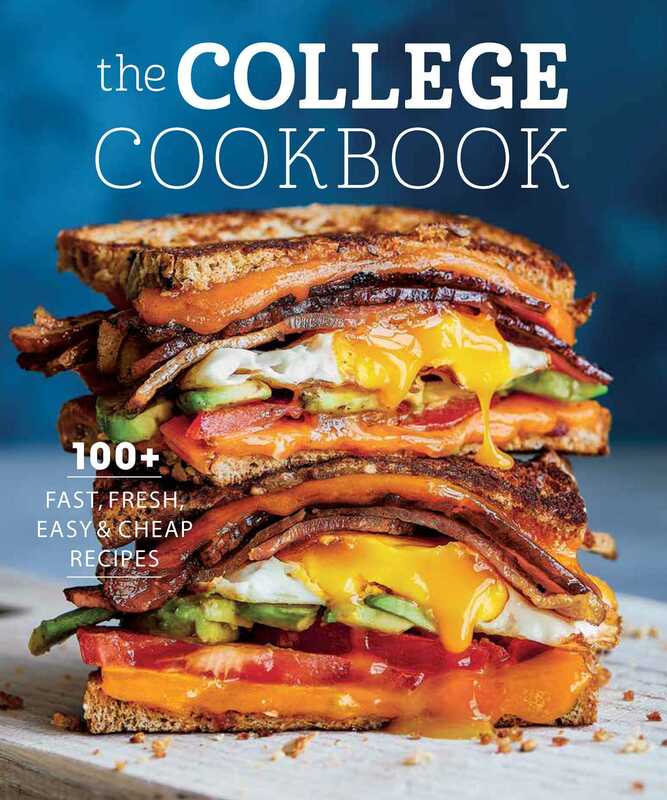 With this collection of quick and easy recipes, college students and other time-challenged, budget-conscious cooks can easily prepare low-cost, fresh-tasting dishes—whether they have access to a kitchen or are limited to the dorm kitchenette. Step-by-step, no-fail, fresh and delicious recipes include make-ahead tips, shopping lists, and cooking time for easy reference. Lots of simple tips for stretching easy preparations to many meals. Instagram-worthy photos and lots of fun graphics offer inspiration. One-Dish Frittata 3 Ways; Best Breakfast Sandwich; Complete Breakfast in a Microwave; Chicken Tortilla Soup; Easy Restaurant-Style Ramen; Chinese Chicken Salad; Superfood Kale Salad;Veggie Toasts; Fully-Loaded Nachos; Israeli Couscous with Vegetables; Fresh Summer Rolls; Roast Chicken – 1 ingredient 4 ways; Yellow Chicken Curry; Mom’s Turkey Meatloaf; Beef & Broccoli Stir-fry; One-Pan Soy-Glazed Salmon; Easy Skillet Lasagna; Penne with Quick Cauliflower Pesto; Apple Crumble; Ultimate Chocolate Brownies; 2-Ingredient Nutella Souffle.